Political grudges should not be enough to trigger surveillance by legal authorities. The proposal, promoted by the City of Chicago, was embodied in SB 2562 and its companion bill, HB 4405. They would have authorized police to use surveillance drones to monitor peaceful protests without first securing a judicial warrant. Had the measure been adopted, it would have permitted police to use facial recognition technology to identify individual demonstrators photographed by drones even absent any suspicion of wrongdoing. Warrants are important. They serve the crucial function of preventing police fishing expeditions against political dissenters, andthe politicization of public safety measures to pursue personal vendettas. Moreover, they’re not a burden for police to secure. That makes a warrant requirement a reasonable (yet increasingly threatened) way to protect vital (and increasingly threatened) rights on which democracy depends. Ultimately, the proposed 2018 measure invited the kind of historically documented abuses and recurring problems that flourish behind a continuing wall of executive secrecy. Incidentally, but of crucial relevance to state policymakers: President Trump is widely known for bearing petty grudges. The propensity of the President to pursue personal piques represents precisely why our Founders required warrants as a precondition to justify any police search: without review by an independent auditor, the executive branch is too prone to act arbitrarily. That’s why due process and access to justice are so important. Beyond President Trump, even federal oversight bodies have been recently implicated in politicizing national security secrets. Closer to home, the Chicago Police Department (CPD) has also spied on political groups not only in the past, but also more recently. The “Red Squad” was the Chicago police unit that spied on political dissent for much of the Twentieth Century. Fortunately, advocates of free speech and privacy defeated the 2018 proposal. While the Illinois House and Senate each approved a version of this bill, the state legislative session expired on May 31 without reconciling their conflicting versions. Illinois has retained its leading protections of dissent from drone surveillance for this year, but this struggle will likely recur. Fortunately, local grassroots allies including Lucy Parsons Labs and the Chicago Committee to Defend the Bill of Rights—both of which are members of the Electronic Frontier Alliance—are monitoring the situation. 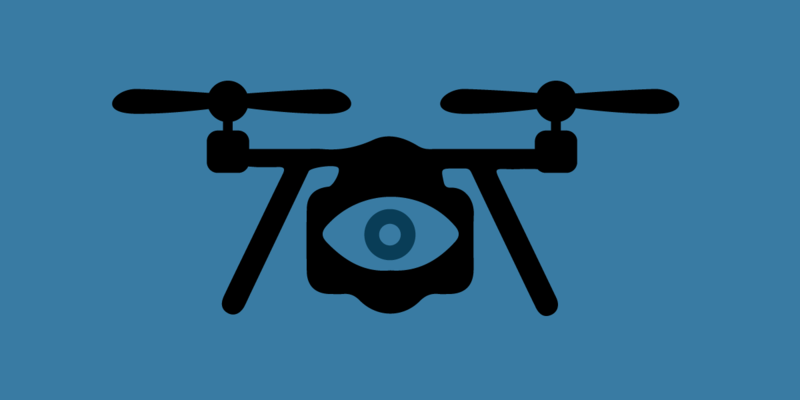 If the City of Chicago persists in trying to undermine constitutional rights by seeking more expansive powers to spy on demonstrators using surveillance drones without any basis for suspicion, we look forward to responding by raising the alarm.